Jamakin Dream has some serious early twist! 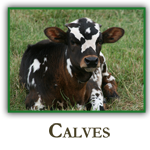 Her sire is WS Jamakizm, a black brindle bull with 81.5″ tip to tip. 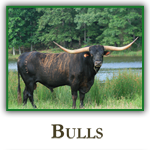 Her dam is Playful Vision, who has 72.75″ tip to tip of flat twisty horn. This heifer is solid red, with a frosty, brindle face. This young heifer has a lot of total horn for her age and she’ll have really nice tip to tip as she curls back around and flattens out with age. She should look very similar to her Mom when she gets older. 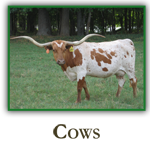 We are thrilled with how she is growing horn at such a rapid pace. Jamakin Dream gave birth to a beautiful speckled up heifer calf out of Rim Rock on 9/28/2017. This little heifer is going to be real special! Jamakin Dream was AI’d to TCC Houdini on 7/21/18. We will blood test her to confirm pregnancy at 28 days bred.